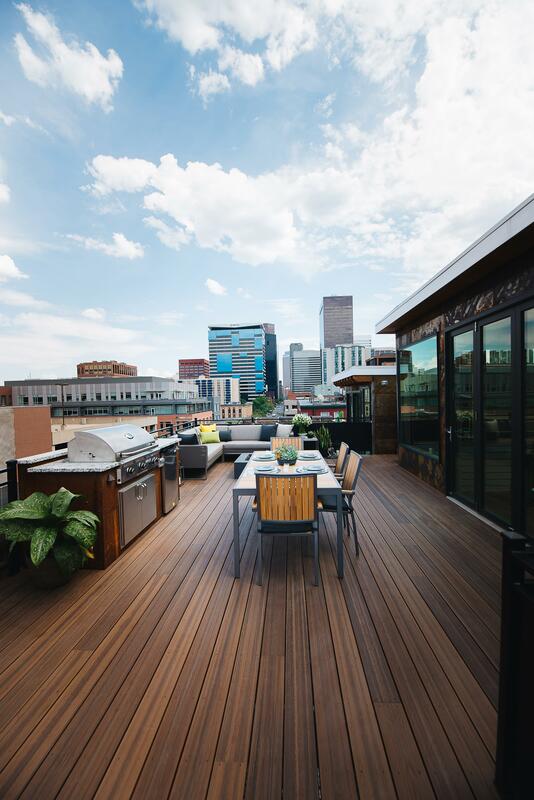 (BPT) – Once reserved for the urban elite, rooftop decks are popping up all over the country as an attractive option that offers a mixture of space savings and an unrivaled view. Rooftop decks take what was formerly unused space – the top of a building or the flat roof over part of a home – and reclaim it for a unique entertaining area or family gathering spot. Defining how the deck will be used most of the time is the top way to make sure the space fits the homeowners’ needs. Questions like, “Will the deck host weekly family dinner?” and “Will you use it daily for drinks and lounging?” help determine whether a kitchen/dining area is needed and how much seating should be included. Plan for how many people you expect to fit on the deck. Most people have a style or color scheme they are already drawn to. A good designer will pay attention to the rest of a homeowner’s space and incorporate that theme into the rooftop deck to create a cohesive style from interior to exterior. Materials have a significant impact on the final look of the deck, whether it’s sleek tile, decorative concrete or luxury composite lumber. James said his rooftop decks are primarily Envision composite lumber by TAMKO, because of the wide variety of styles the boards can accommodate, taking on everything from the look of exotic hardwoods to distressed reclaimed barn wood. Regardless of how the deck will be used, it’s nice to have a covered area to escape the heat of the sun or the rain. Depending on the homeowners’ needs and budget, the covering can be anything from a grouping of large umbrellas to a covered structure with glass walls. If adding a covering helps extend deck season through the extreme heat of summer and the rain of spring, including a fire element extends the deck’s use through the fall and winter. This could be something as simple as a fire pit or as elaborate as a built-in fireplace. Consider the natural views when deciding where to add a covering and how to position furniture on a rooftop deck. One area of the deck may offer superior views, either of nature or of a cityscape. Position furniture to open up to the best view and construct deck coverings and any needed walls to obstruct undesirable views. This entry was posted in Real Estate on May 26, 2018 by Mike.